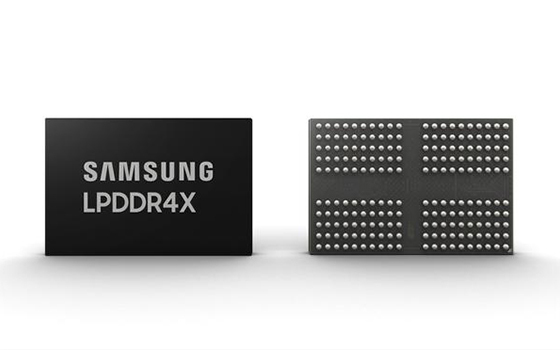 Samsung Electronics has announced that it has begun mass production of a new heat-tolerant 10-nanometer (nm)-class 16-gigabit (Gb) LPDDR4X DRAM for automobiles. This LPDDR4X is notable for its high performance and energy efficiency and high thermal endurance level which makes it suitable for automotive applications where the environments can be highly extreme. This advanced memory solution is an improvement on its 20nm-class ‘Automotive Grade 2’ DRAM, that has the capability to tolerate temperatures from -40°C to 105°C. This new memory chip is Automotive Grade 1-compliant, and can tolerate temperatures as high as 125 degree C.
Another factor that makes it more reliable and raises its power efficiency and performance is production at an advanced 10nm-class node is key to enabling the 16Gb LPDDR4X to deliver its leading-edge performance and power efficiency. Even in intensely hot environments, the chip exhibits data processing speed of 4,266 megabits per second (Mbps), a 14 percent increase from the 8Gb LPDDR4 DRAM that is based on 20nm process technology. The new memory also registers a 30 percent increase in power efficiency. Samsung Electronics has said that it would continue to expand the portfolio of its 10nm-class DRAM products, while strengthening its presence in the premium memory chip market for automobiles related to the car’s advanced driver assistance systems, central controller of self-driving cars, infortainment and gateway devices.